Happy Holidays and a Snappy New Year! Streethunters is taking a break! The Holidays are upon us and we are all very much excited about it! Every year, during this time, we feel the need to go through our gear and wonder if we need anything new. Because there isn’t a better excuse to spend money on new shiny things than holidays season. If you are interested in getting some inspiration about what you could have for this special holiday, then you should definitely read Digby Fullam’s post “A Street Photographer’s Dream Christmas Wishlish to Santa” and if you have the time, you should also check out my post from two years ago “22 Goodies Street Photographers can ask Santa for Christmas!“. The second post is a bit dated, but it still has some practical ideas you might find useful. Also, if you are looking for a new book, there is no better resource for Street Photography books than the Streethunters.net Bookshelf. A collection of in depth reviews of some of the coolest photo books on the market by our book reviewing expert Andrew Sweigart! Every year the Streethunters.net team takes a break to enjoy time with our families, to do some Street Hunting and to relax from the stressful daily routing of writing, editing, posting and sharing original content. This time our break starts on the 24th of December which is Christmas Eve in the UK where Digby Fullam is based, and the same in the USA where Andrew Sweigart is based and here in Greece where I can be found. 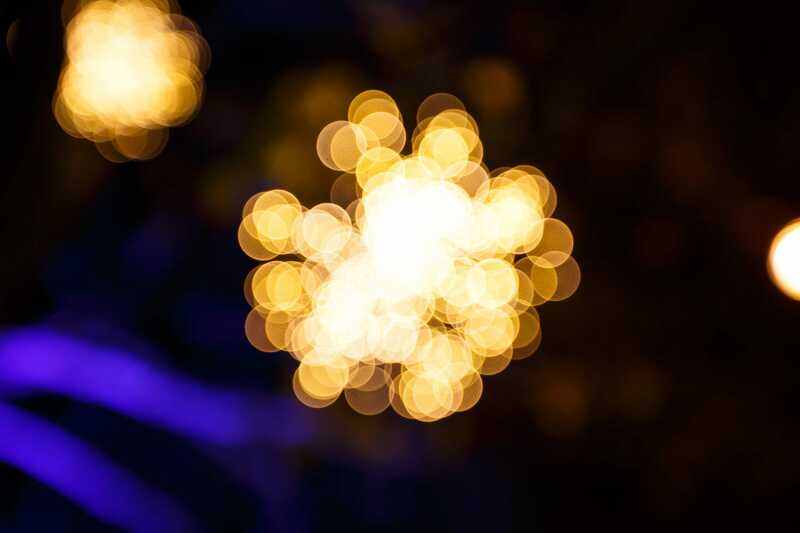 As we all know, Christmas Eve is a day of joy, happiness and preparations for the great day of Christmas. And by preparations we mean drinking good wine, cold beer and maybe even sipping on some lovely scotch too by the fireplace. These days, our lenses are pointing towards our family and friends, capturing moments of blissful awesomeness that we could only wish could last forever. Next week is “New Year’s Day” week and well, we will be taking that week off too. Nothing beats sliding into the next year without having any responsibilities to think of. It makes the new year feel so much better than the previous one! Then on the 5th and 6th here in Greece it is a holiday again. So, we thought, since I will be in holiday mode all the way up to the 6th of January, why not all of us take a break until then? So, we will be back in action, fully recharged and ready for new challenges on the 7th of January. Of course, during the time of our break we will still be participating as individuals on Social Media. You can find us on our Facebook Group page, our Flickr Group and our GooglePlus Community, called the SHRC. 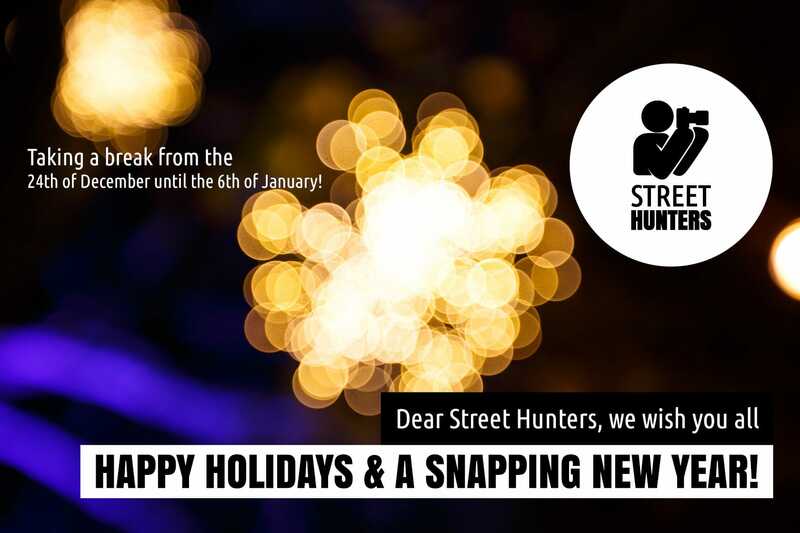 So, now that we’ve updated you all on our plans for the next couple of weeks, we would like to wish everyone of you dear Street Hunters Readers Happy Holidays and a Snapping New Year! Best wishes for a wonderful Christmas and New Year to all who enjoy Streethunters.net from Wendy Fullam. Looking forward to the 2016 calendar! I enjoyed seeing all the winners of the monthly contest again and casting my vote for my favourite one. Thanks Wendy! Enjoy the holidays!